The Uluveu BuildersA�Workshop (UBW), South East Malakula, has been awarded the contract for a water project at Mbonvor, South Malakula. Aveda Cosmetics and Green Global Fund awarded the contract locally rather than using offshore contractors once they had seen the quality of the previous UBW construction work at the Uluveu Water Pavilion and Uluveu Soap Factory. If we are serious about raising the standard of living of our remotest communities, then we need to have faith in the skills, abilities and knowledge of the local people. Sustainable development means authentically co-creating initiatives and projects with them and ensuring that they are the decision-makers and project managers. Local communities need to be given the opportunity to take ownership of their own destiny. This concept is not new, but it takes a level of faith in our people that is so often missing in community development work across Vanuatu. One way non-governmental agencies can add value is in partnering with locals to develop the entrepreneurial capacity necessary to make local businesses a success both locally and beyond. Palm Project, on the island of Uluveu, is an exemplar of this way of working. It is an enterprise consisting of three successful businesses all of which are owned and operated by the local community. Its success is unprecedented and can be seen in some of its most outstanding achievements. In 2015, soap manufactured at the Palm Project Soap Factory began to be distributed by Trade Aid New Zealand across its 32 outlets. In addition, the Uluveu Nuwai Pavilion, a 6kw solar power station that combines advanced technology and solar power, converts salt water into safe drinking water. The Pavilion also houses an ice-making machine and freezer that enables local fishermen to keep their catch fresher for longer. This project has not only provided the community of Uluveu with a surplus of safe, clean drinking water but has also produced excess electricity which is now being used to make block ice and create income. What is most striking about these local businesses is that New Zealand Childrena��s Health and Education Trust (NZCHET), the agency involved in establishing Palm Project, used a philosophy of co-creation and partnership from the outset. They see themselves as one of the stakeholders in the project, but one that is always led by the community. They have no control over these businesses and their only involvement is when assistance or advice is requested by key community stakeholders in the businesses. Liane Farry from NZCHET explains, a�?The true success of Palm Project has come from having faith in the local people. Yes, we co-create these projects in partnership with the community, but we also know our place in this process which is ensuring that the local people are leading all aspects of the work.a�? Also under the Palm Project umbrella, the Uluveu Builders Workshop (UBW), established in 2010, is a collective workspace for local trades men and women who also built and installed the Soap Factory, the Managera��s Hut and the Pavilion. Recently UBW was approached by Aveda Cosmetics, a U.S. based corporation, to design and install a water project in the village of Mbonvor, South Malakula. In the past, this project could have ended up in the hands of a non-governmental agency, but instead it is being designed, executed and projected managed by Ni-Vanuatu for Ni-Vanuatu. Mbonvor community, we employed our own tradesmen, order supplies and organised freight. We are in control of all aspects of the project.a�? Unfortunately, these initiatives are far too rare. Farry, who provided support and advice for this project, said: a�?As a project coordinator, I have learnt that the only viable community development model is when the people who you are supposedly there to help are making all the critical decisions and manage the project.a�? Kalo Daniel, Chief Builder UBW, explains their relationship, a�?We know NZCHET believe in us and we know they have our best interests at heart. We go to them as our partner when we feel they may be able to help with our work.a�? 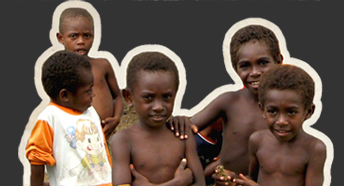 At the centre of NZCHETa��s work is faith in the ability of the indigenous people to determine their own destiny. Farry explains: a�?Real faith is a complete handover of the project to the local people. That doesna��t mean walking away from the project, but instead being directed by the appropriate local governing body. We provide advice and support when requested, but we constantly need to be aware of our own limitations of understanding. We are constantly checking ourselves and our assumptions, so that we dona��t fall into a paternalistic relationship in which we position our ways of knowing and as being superior.a�? Self-sufficiency can no longer just be a catchphrase, but must be the ultimate goal if development is going to be effective and sustainable. What we mean by self-sufficiency is an authentic process of co-creation between non-governmental agencies, and localsa��a partnership in the truest sense. One which is initiated and governed on the terms and conditions of the indigenous people. A major barrier to this has been the way non-governmental agencies approach and carry out so-called community development. Again this is not new and many of us are aware of the colonial paternalism that underpins much of this work. But we need to start doing things differently. Sustainable community development will only happen when the myriad of agencies that currently operate in the fields of development and foreign aid figure out what authentic co-creation and partnership look like. In many cases, this means solving themselves first and having faith in the local people, their skills, expertise and talent. No doubt this way of working takes longer and is fraught with challenges, not least of which is the history of colonialism, but it is the only viable way forward. What would this look like? The locals would genuinely make all the key decisions, negotiate, acquire resources and project manage the co-created enterprise or project. This requires agencies to rethink how they operate. For example, the idea that the community and the people in it are the problem that needs to be solved by an outside a�?othera�? needs to be flipped on its head. It is this kind of deficit thinking that leads to much of the required work being carried out by foreign consultants. This type of thinking needs to be challenged. Many agencies are operating under the pretence that their goal is self-sufficiency but, if one takes a closer look, they remain paternalistic in their approach. Outside consultants and agencies need to work for the communities they are serving and that means being led by those communities. It means giving advice and assistance where and when required, but leaving the final decision making up to the community even when it runs counter to their own culturally specific understandings of best practice. This is where the real challenge comes into play, as taken-for-granted assumptions and worldviews become the real power struggle. One of the pioneers behind the Palm Project Soap Jenny Balias explains, a�?This solar powered Desalination Water Production Plant not only produces ample drinking water in the drought season but also supplies the much needed power for Sangalai School. a�?The plant also makes block ice which is sold to the local community and fishing boats. Profits pay the wages of the Planta��s manager and plumber, making the water production fully sustainablea�?. She adds, a�?The plant also includes public showers and these, along with the Coconut Project soap, are used by the students for regular showers, thus preventing scabies and improving health and hygiene. Large washing tubs are also available at the pavilion to make clothes washing possible and more convenient. a�?Nearby is the aid post clinic, and the water and washing facility is also available for nursing staff and patients. a�?The water making unit has a diversion tap and this drinking water, tested by UNELCO, is 99.99% pure, decontaminated watera�?. a�?The Uluveu Nuwai Pavilion is owned and operated by the community, and like the soap factory, its manager has to report to the Palm Project Governing Board and Council of Chiefsa�?, she says. a�?The Uluveu Nuwai Pavilion has supplied emergency drought water to the Uluveu community and surrounding islands of Avokh, Sakao and Naraniam for the past 4 years. a�?The Plant has been maintained by the local plumber/electrician with assistance from the designers in New Zealand by way of telecommunications when necessary. a�?If everything goes as planned, the Uluveu Nuwai Pavilion, with its potential to generate an income will, like the soap factory, become financially independent in the near futurea�?. When this plant was first proposed, many thought it would be too technologically advanced for this regiona��s local tradesmen to maintain. However, this notion has been disproved. One of Malekulaa��s many islands called Uluveu in the Maskylenes has made history by boasting the first machine to turn saltwater into drinking water. Volunteers working on the Oil Palm project and the Uluveu RO Desalination Plant in the Maskylenes have successfully set up the machine to turn saltwater into drinking water which is also used for washing and showering. Not only that but even the washing and bathing bars of soap are all made locally in the soap factory in Maskylene Island. The company buys coconut oil from the villagers at Vt200 per litre which it uses to produce soap and other health products. Liane Farry who initiated the soap project in the first place is flying up to Port Vila tonight to travel to Malekula and the Maskylenes to get ready for the official opening of the water making project on January 13. Describing the building housing the machine to the sponsors of the project, Liane Farry wrote in the project newsletter, a�?The building is a two roomed structure, on one side we have three showers and four wash basins and in the other side all the equipment for making water. The water maker was designed by Terry Forestry of Open Ocean NZ. Also included in the equipment are twelve Raylite batteries plus the component boxes. The system has been designed by Jason Whaanga of ECO Solutions and installed by John Rossiter of Solapro NZ. All plumbing has been installed by local plumber Kalo and Carson Finnemore and Allstar Plumbing NZ, not only did they plumb up the Water Pavilion but they also installed twelve 6000 litre tanks throughout the three villages so that water catchment could be maximiseda�?, she says. Liane Farry says being able to collect maximum rain water in Uluveu Island means that dehydration; which is a health problem there will be overcome. a�?A long time before the building of the Uluveu Nuwai Pavilion was started, James Brodie NZ Architect and volunteer for NZCHET, spent many hours with our trustees and designers making sure the design was just right. The actual building has been a huge success and has been perfect for the needs of the community and equipmenta�?, she says. Now that the machine has been up and running, people from Uluveu and the surround islands have gone to see the plant in action. a�?This is the first time that showers have been available in the island. It is also the first time that women can come and do their washing without having to cart water from the bore wells which are contaminated. For the first time students from Sangalai School where the plant is located, were able to take showers. Palm Project has and will continue to donate coconut soap with added tea tree to eliminate scabies and skin infections. It is hoped that the health status of the villages will improve with the increased save drinking and washing watera�?, she says. The New Zealand Aid Programme continues to support the work of New Zealand Childrena��s Health and Education Trust (NZCHET) a small New Zealand-based NGO that makes a tangible difference to the lives of people in the remote islands of Vanuatu. While the priority of the contestable Sustainable Development Fund (SDF) is primarily bigger, longer, higher impact activities, a portion of SDF funding remains available for effective smaller interventions, such as NZCHETa��s. With a grant from the SDF, NZCHETA�can expand on its successful initiatives in the fields of health, education and economic development, which began several years ago. 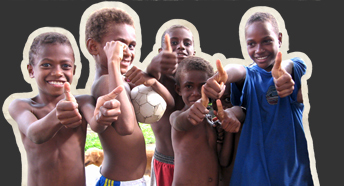 In 2007, NZCHET brought soap makers from New Zealand to the island of Uliveo, South East Malakula to teach the community to make soap from local ingredients. This resulted in improvedA� health and hygiene, reduced skin infections and led to an economic spinoff of increased incomes and skills, particularly for women. Seeing potential in the soap project, local women began a community collective to turn it into an industry which would provide economic as well as health benefits. This enterprise came to be known as the Palm Project. In 2008 and with the support of NZCHET and funding from the New Zealand Aid Programme, local Rural Training College (RTC) building graduates constructed the Palm Project soap factory under the guidance of a New Zealand designer. Since then, a managera��s hut has been built and equipment added to the soap factory to create production capacity, including power and water supply. The Palm Project now employs 11 local women, and provides income to local coconut oil makers and cocoa beans and vanilla growers. The Palm Projecta��s product range has expanded to include shampoo, conditioner and body oil and has created interest from wider Vanuatu including the tourism sector. 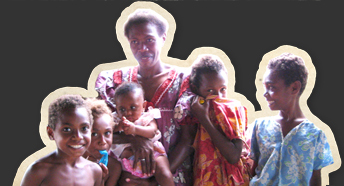 In 2011, NZCHET received funding for its latest project, which addresses health issues and dehydration on Uliveo Island that have resulted from a lack of access to clean water. Uliveo health problems mostly stem from the contaminated water supply and also seasonal droughts which are increasing in regularity and severity. NZCHET, its local partner Palm Project and the Uliveo community will install water tanks and plumbing for rainwater collection and a solar desalination unit for drinking water during times of low rainfall. Safe water and improved sanitation will directly benefit the 2,500 residents of Uliveo Island and an improved health status will be achieved.